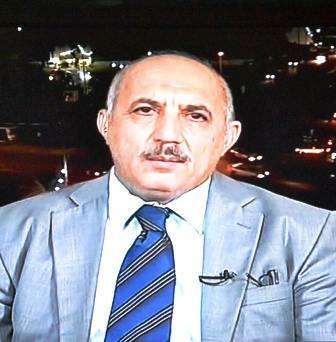 The director of studies and operations in the bank Rashid Abdul Muttalib Abdul Jalil said in a statement to (Tigris) that raising zeros reduces the monetary mass and continued that the adoption of this resolution needs to be the decision of higher bodies and not the Central Iraqi Bank. The Abdul Jalil details misled by the media, including what remarks on the Rasheed Bank wondering who are those bodies that have been spotted. He added that Al-Rasheed Bank offers banking facilities in the discount and overdraft, explaining that the subject of the sponsor is not as is customary, but he only signs the bill of interest for the first six months. 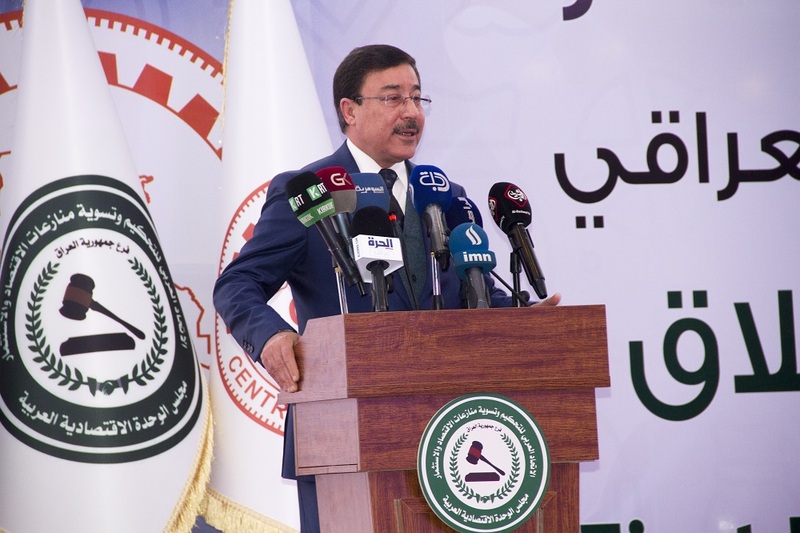 He pointed out that the housing loans come in two forms, first of which is the liberated areas, which the government required to contribute to the reconstruction of liberated areas and was distributed between the bank of Rashid and Rafidain Anbar, Ninewa, Diyala and Salahuddin. He pointed out that the 30 million advance is exempted from interest in the first five and five years and bears a benefit of seven percent. Kavsha said that the loans of employees depend on the amount of salary and range from 5-10 million dinars. Abdul Jalil added that the loans of small projects up to 50 million dinars maximum. Stressing the cancellation of the mortgage and replaced by a bail in granting loans and continued interest in the bank is less than other banks or parallel to them. Abdul Jalil announced the advantages in the Rasheed Bank, where he fired a master cadre of palm to pay the salaries of employees owned by the bank and not contracted with companies and denied the cut of 21 thousand for the payment of salaries exaggerated and not true, but a free service to encourage people on the electronic card. He added that the payment of salaries through the system of electronic clearing does not delay one day, unless there is a technical defect in communications. Abdul Jalil pointed out that the Rasheed Bank is heading towards the implementation of the comprehensive electronic system, which protects the customer with an international number, stressing that the commission issuing MasterCard card in the bank Rashid only 10 thousand dinars. Posted in Anbar, bank, Banking & Finance, Central Bank of Iraq, Commission, Dinar, Dinar Daddy, Dinar Guru, Dinar Recaps, Dinar Speculator, Dinar Vets. US Assistant Secretary of State Marshall Blingsley announced on Tuesday his country’s readiness to help Iraq and the Kurdistan region boost their economic standing. 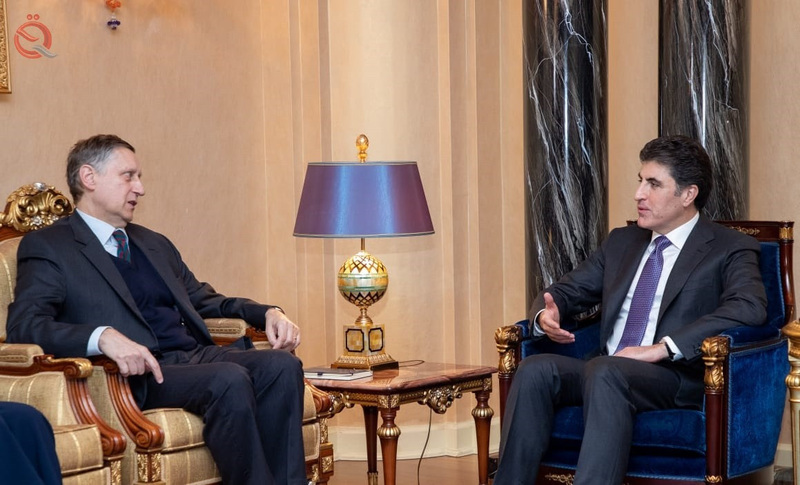 The Kurdistan Regional Government said in a statement received by "Economy News" a copy of it, "The Prime Minister of Kurdistan met with US Treasury Secretary Marshall Blingsley." "The meeting discussed the situation in the region and coordination efforts between the governments of the region and Iraq with allies, especially the United States, aimed at eliminating violence and drying up the financial and economic resources of extremist groups," the statement said. For his part, thanked Barzani, "the United States on past and current aid provided to the Kurdistan region," stressing that "the market of the region will be of particular importance in the development of the Iraqi economy." He added that "US Assistant Secretary of State Marshall Blingsley expressed his country’s readiness to "help Iraq and the Kurdistan region strengthen their economic standing." "I am pleased with the developments in the region in the economic infrastructure sector, reform and private sector development," he said. Posted in baghdad, Dinar Speculator, Iraqi Economic News. 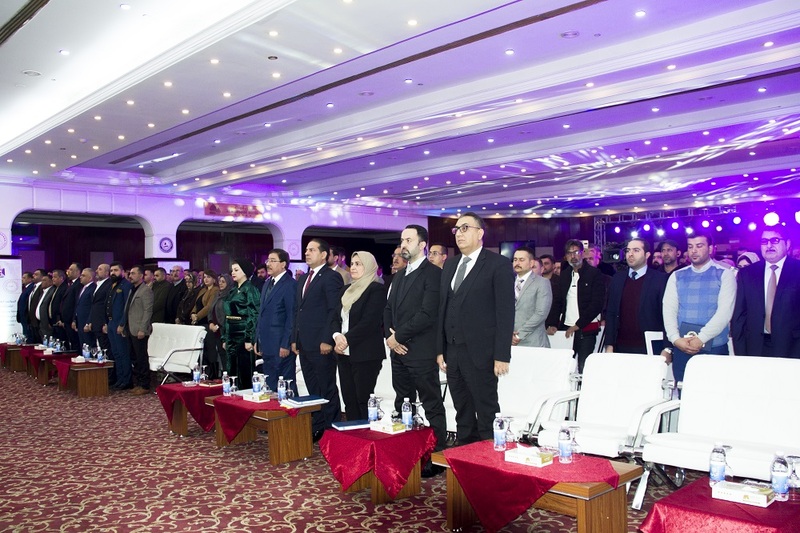 Under the patronage of His Excellency the Governor of the Central Bank of Iraq, Mr. Ali Mohsen Ismail, the first Iraqi conference was held for companies that mediate the sale and purchase of foreign currencies, which was attended by the Director General of the Department of Banking and Credit Control in this bank, in addition to the participation of a large number of brokerage departments, the sale and purchase of foreign currencies and their owners A number of members of the House of Representatives and figures of financial and economic. 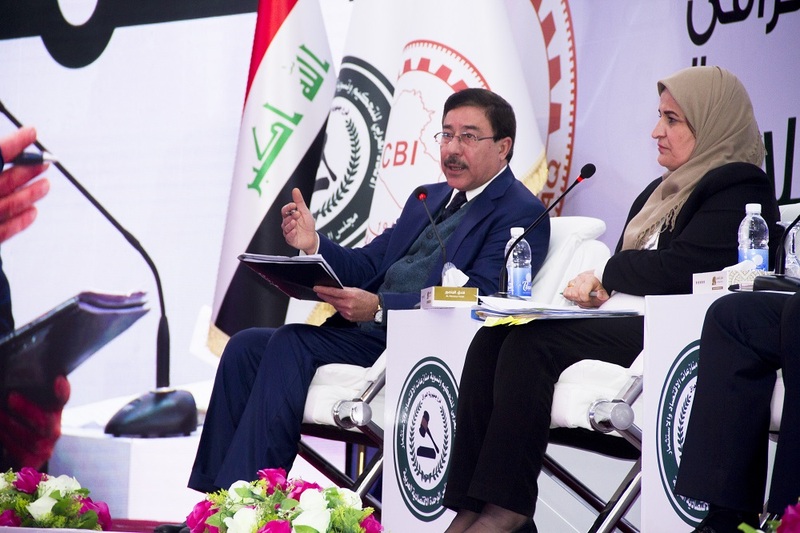 He stressed the sovereignty of the Central Bank Governor during a speech at the opening of the conference to the need to promote the reality of the work of companies mediating the sale and purchase of foreign currency to serve the Iraqi economy. He referred to the requests of companies to mediate the sale and purchase of foreign currencies and discussed some of them during the conference, confirming that all applications will be studied with the concerned authorities in the Central Bank and the possibility of solving them in record time. Posted in bank, Banking & Finance, Central bank, Central Bank Iraq, Central Bank of Iraq, Central Bank or Iraq, Economic News, Currency, Dinar Speculator. World Bank report: Iraq will be the highest Arab economic growth by 2019 The Middle East and North Africa (MENA) countries are expected to witness a rise in economic growth to 1.9 percent in 2019, according to a World Bank report. The show report recently released titled Figures (Global Economic Prospects: The Middle East and North Africa “bleak skies”) that growth in the GCC will rise to 2.6 percent , supported by the movement of an active investment at the level of the oil – exporting countries, the bank expects that growth declines in Algeria To 2.3 percent due to slower government spending than in 2018. Egypt will see a growth rate of 5.6 percent in 2019, boosted by investments and reforms in the expected business climate. The growth rate in Morocco and Tunisia will reach 2.9 percent in 2019 if tourism indicators improve and political reforms continue. Although Iraq recorded modest growth in 2018 at 1.9 percent, reconstruction projects, according to the report, will be an important driver for the growth of its economy and neighboring economies, with an expected 6.2 percent, the highest in the Arab world. Growth in Jordan is likely to see a slight improvement of 2.3 percent. 2018 The 2018 estimates showed an improvement in growth to 1.7 percent amid improved economic activity in oil exporting and importing countries. Algeria registered a growth rate of 2.5 percent last year, Egypt with 5.3 percent, Morocco with 3.2 percent and Tunisia with 2.6 percent. The World Bank has warned of the dangers facing the region, which can discourage growth, as conflicts can escalate and lead to greater damage to income and economic activity, not to mention health and social well-being. Posted in baghdad, bank, Banking & Finance, Business, Dinar Speculator, Egypt, Iraqi Economic News. Money, a source and document representing the state, is a symbol and expresses its political and religious system and its own philosophy. In comparison to history writing, documentation across currencies can not be questioned or challenged because it is a concrete fact and document for a certain period of time. Humanity has greatly benefited from the history of civilizations by studying their currencies and their holdings. After the fall of the former regime, specialists began to think about how to restore the spirit of the Iraqi dinar, and remove the heavy legacy of the Iraqi economy, they began to put the idea of ​​removing three zeros from the current currency. This process is still controversial in the government and monetary circles, businessmen and specialists. Some believe that doing such a process will lead to more corruption and tampering with public money, because of what is happening in the process of changing the currency, and it will create a state of chaos and confusion in contracts internally and externally, And that it will not change anything from the fact that the amount of the issued paper will remain the same. At a time when an optimistic team believes that this process will lead to the restoration of prestige of the Iraqi dinar, if accompanied by the improvement of the dinar exchange rate, and the process of calculations in various fields will be less complex and simply. We do not deny that the process of deleting zeros is a necessary and important step comes within the need for the country to the process of administrative reform of the currency contribute to reduce transaction costs and cash transactions in the economic process, and reduce the size of the country’s monetary mass and help to facilitate calculations and reduce the amplification of numbers, if applied Properly and at the right times. But there must be introductions to that process, including choosing the appropriate time in which the Iraqi economy in a state of stability, and then create the economic environment in a deliberate manner to implement the deletion, and this requires the procedures and financial and banking decisions taken by the financial authority in the country. The most important negatives that will accompany the process of deletion of zeros is the cash illusion, as the deletion of three zeros from the Iraqi currency will sign the citizen under the illusion of cash, which is the most prominent negative that can affect the Iraqi citizen in the event of deletion of three zeroes of the current currency is a significant effect. This will be the result of colliding with the value of the new currency after the deletion, leading him to believe that the value of its assets has decreased by dividing them on the three zeros. The Iraqi citizen would like to see his currency strong, so the process of raising zeros will contribute to the revaluation of the currency, and reduce the proportion of demand for hard currency, which is characterized by force, and will lead to a balance between the value of domestic and foreign currency and will give them market power at home and abroad, It is possible that the value of the Iraqi currency against the US dollar, for example, that the employee who receives 1200 thousand dinars at the exchange rate 1200, the purchasing power of $ 1000 dollars and if the strengthening of the dinar equivalent to 500 dinars to the dollar will be purchasing power $ 2400 instead of $ 1000. Posted in bank, Banking & Finance, Banknote, Business, Central bank, Central Bank Iraq, Central Bank of Iraq, Central Bank or Iraq, Economic News, Citi, Citigroup, Corruption, Currency, Dinar, Dinar Daddy, Dinar Exchange Rate, Dinar Guru, Dinar Recaps, Dinar Speculator, Dinar Vets, exchange, exchange rate. The Central Bank reveals to the "NAS" details of the project "Structuring the currency"
Baghdad – NasThe Central Bank of Iraq revealed on Monday details of the project "Structuring the currency", which aims to delete 3 zeros, to facilitate the circulation of currency. "The currency structuring project, when it was first floated, faced many objections. It was postponed to be launched again in 2014 and started to be implemented," said Abdulkarim Hassan, general manager of the issue and treasury, in an interview with NAS today (November 19, 2018). A new reason to postpone it." Hassan explained that "the draft currency structure aims to delete three zeros to turn the category of a thousand dinars to one dinar, while replacing the thousand dinars in the place of one million dinars." He pointed out that "the project allows the printing of new categories of dinar and half dinars down to deal with the bank. "He stressed that "the idea is integrated and there is a comprehensive study and the project does not need to apply," stressing that "this project must be implemented despite the obstacles that led to the postponement." Posted in baghdad, bank, Banking & Finance, Central bank, Central Bank Iraq, Central Bank of Iraq, Central Bank or Iraq, Economic News, Currency, Dinar, Dinar Daddy, Dinar Guru, Dinar Recaps, Dinar Speculator, Dinar Vets. DUBAI (Reuters) – Iran and Iraq could raise their annual bilateral trade to $20 billion from the current $12 billion, President Hassan Rouhani said on Saturday, despite concerns over the impact of renewed U.S. sanctions. Rouhani’s remarks, after a meeting with visiting Iraqi President Barham Salih, came two weeks after the United States restored sanctions targeting Iran’s oil industry as well as its banking and transportation sectors. “… through bilateral efforts, we can raise this figure (for bilateral trade) to $20 billion in the near future,” Rouhani said in comments broadcast live on state television. “We held talks on trade in electricity, gas, petroleum products and activities … in the field of oil exploration and extraction,” Rouhani said. Baghdad is seeking U.S. approval to allow it to import Iranian gas for its power stations. Iraqi officials say they need more time to find an alternative source than a 45-day waiver granted to it by the United States. Salih later met Iranian supreme leader Ayatollah Ali Khamenei who called for maintaining unity among ethnic and religious groups in Iraq and resisting foreign interference. “The only way to counter plots (by Iraq’s enemies) is by strengthening the unity of all Iraqi groups, including Kurds, Arabs, Shi’ite and Sunnis,” Ayatollah Khamenei said, according to his website. “Some governments in the region and outside of it hold a deep grudge against Islam … and Iraq, and interfere in Iraq’s internal affairs and they must be strongly resisted,” he said. Iran accuses the United States and its regional rival Saudi Arabia of exploiting divisions among Shi’ite and Sunni Muslims. Washington and Riyadh denounce Iran as fuelling conflicts in countries including Lebanon, Syria and Yemen. “We seek to boost cooperation (with Iran) at all levels … in order to serve the interests of both countries,” the website quoted Salih as saying. Iran wields wide influence in Iraq, its smaller neighbour, where its Revolutionary Guards played a key role in training and arming the mainly Shi’ite militias that helped defeat Islamic State. Iraq imports a wide range of goods from Iran, including food, agricultural products, home appliances, air conditioners and car parts. Iranian goods imports to Iraq were worth about $6 billion in the year ending March 2018, or about 15 percent of Iraq’s total imports for 2017. Iraqi officials told Reuters last week that Iraq had agreed to sell foodstuffs in return for Iranian gas and energy supplies. Iranian trade officials denied that any food-for-gas scheme could be set up as Iran was a net exporter of food to Iraq. 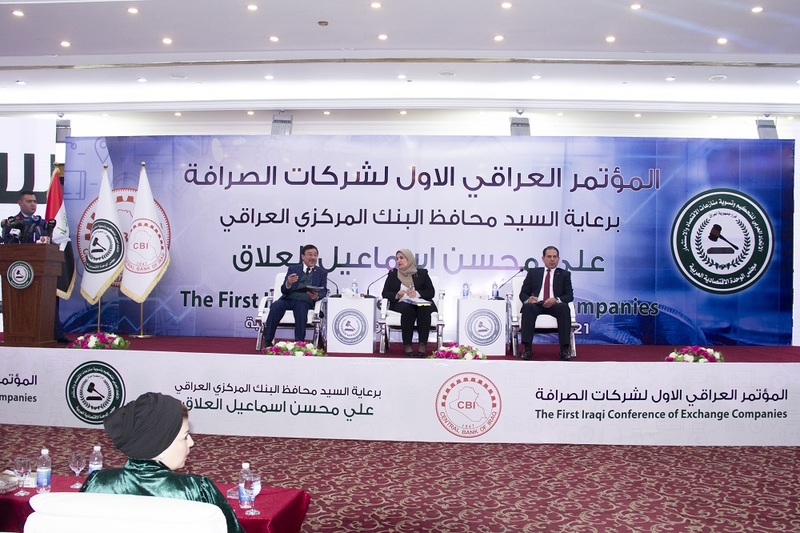 “We have exported more than $6 billion to Iraq in the past seven months and we could import goods for that amount but not food items,” Yahya Al-e Eshaq, head of the Iran-Iraq chamber of commerce, was quoted as saying by the ILNA news agency. Posted in baghdad, bank, Banking & Finance, Currency, Dinar, Dinar Daddy, Dinar Guru, Dinar Recaps, Dinar Speculator, Dinar Vets, DUBAI, Iraqi Economic News. Iranian officials have also recently declared "Iraq is one of our successes" and a "strategic ally" as echoed in a weekend televised broadcast featuring the head of Iran’s Islamic Shura Council, Hossein Amirabedhaleyan. However, as the head of the Iran-Iraq Chamber of Commerce Yahya Ale-Eshagh stated before the latest round of sanctions took effect: “Resolving the banking system problem must be a priority for both Iran and Iraq, as the two countries have at least $8 billion in transactions in the worst times,” according to a September statement. Meanwhile on Monday Iran’s leadership continued making dubious promises that energy exports will defy all expectations and thrive, with President Hassan Rouhani saying US sanctions are "part of a psychological war doomed to failure". Posted in baghdad, bank, Banking & Finance, Business, Central Bank of Iraq, Currency, Dinar, Dinar Daddy, Dinar Guru, Dinar Recaps, Dinar Speculator, Dinar Vets. ERBIL, Kurdistan Region – The Central Bank of Iraq (CBI) has released a series of new banknote designs aimed at modernizing the currency and better reflecting the nation’s heritage and diversity. The last significant redesign of Iraqi banknotes came after the 2003 US invasion, which saw Saddam Hussein’s face removed from the currency. Now a new series of 25,000, 10,000, 1000, 500, 250 dinar notes is set to enter circulation from next week. The CBI says it does not plan to recall old banknotes. As part of the redesign, the new banknotes will now feature the governor of the central bank’s printed name instead of his signature, “compatible with what is being followed in other countries”, the CBI said Sunday. The issuing date will read 2018 AD and 1440 Hijri of the Islamic calendar. However, it is the 1000 dinar note that seems to be getting the most significant makeover. The symbol of the Ikhlas Surah from the Quran, which is currently featured on the 1000 IQD bill, is to be replaced with what looks like an Assyrian star. Assyrians are a predominately Christian minority group concentrated around northern Iraq. Many of them were displaced or forced to flee abroad during the ISIS war. The new 1000 dinar note will also feature the words: “Enlisting the marshes and heritage of Southern Iraq on world heritage list”. This is in reference to the inclusion of Iraq’s endangered marshlands on UNESCO’s list of World Heritage sites in 2016. During Saddam’s rule, Iraq’s marshes were almost completely drained in order to flush out rebel groups. The rich natural habitat and the culture of the marshland’s inhabitants were almost lost. International efforts have sought to bring it back to life. Posted in Assyria, bank, Banking & Finance, Banknote, Business, Central bank, Central Bank Iraq, Central Bank of Iraq, Central Bank or Iraq, Economic News, Currency, Dinar, Dinar Daddy, Dinar Guru, Dinar Recaps, Dinar Speculator, Dinar Vets, erbil.